​Mollie and her husband Sean are the owners of Yoga Hive Montana. After moving west in 2010 from her home state of Wisconsin, Mollie began an important journey. Not only westward bound and in love with (her now, husband) Sean, Mollie’s sense of adventure was just beginning. That year, she made her husband’s idea a reality by incorporating Riding On Insulin — a nonprofit organization that empowers kids, teens and adults living with T1D through action sports. Today, she serves as the organization’s part-time Operations Director, helping to write grants and run ski/snowboard and mountain bike camps around the world. ​It was during those years that Mollie developed a love for travel and backcountry skiing, and was introduced to yoga. What started as an effort to make friends, ended up blossoming into a love for yoga, meditation and furthering her practice. Mollie and Sean moved to Whitefish in 2013 because they found the community engaging, stunningly beautiful and the ideal place to raise a family. 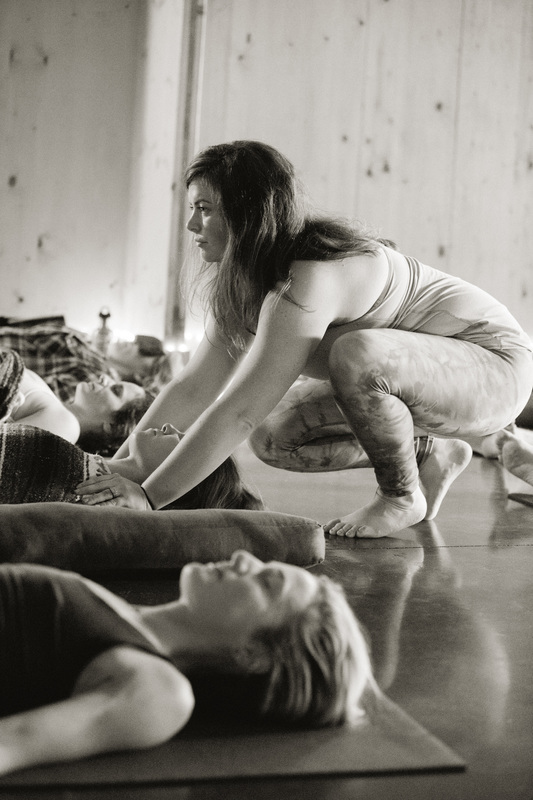 Mollie trained in the Baptiste-​inspired style of yoga at Container Collective Yoga in Lakewood Colorado, and completed the Art of Assisting program through the Baptiste Yoga Institute. She is also a certified Unnata Aerial Yoga Instructor, and completed her 200 Hour Teacher Training through Figure Yoga in Colorado. Mollie and Sean live on an off-grid homestead just outside town with their two fur children, Daisy and Glacier. They live summers in their 30-foot yurt and winters in a 400-square foot tiny house — both of which they built by hand. See their episode of Building Off Grid on the DIY Network below, and a video tour of their yurt at right. Follow their homesteading and worldwide adventures at TheBusbyHive.com. Mikala was first introduced to yoga while attending Carroll College before graduating in 2016 with degrees in Health Sciences and Psychology. 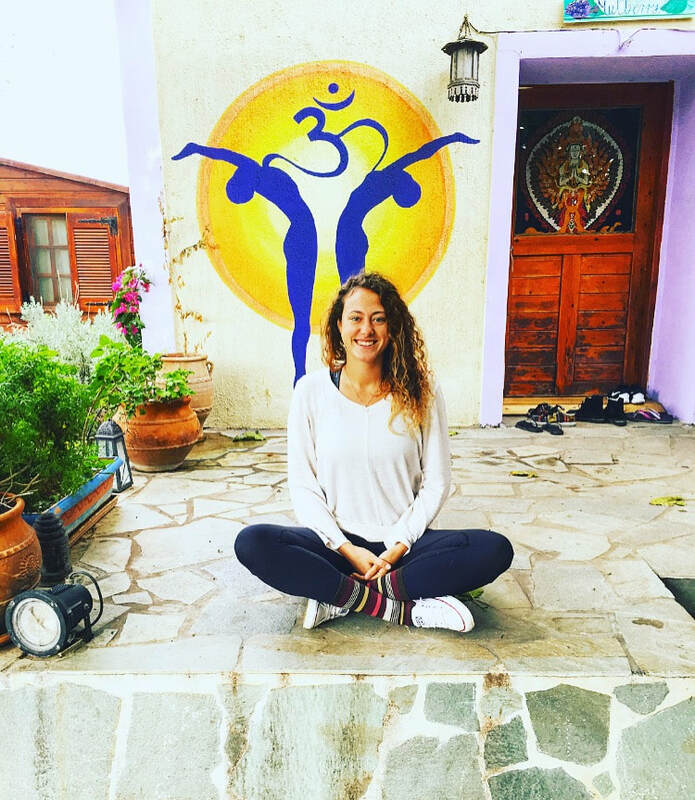 After graduating, she volunteered at a yoga and thai massage retreat center in Evia, Greece where she was able to deepen her yoga/meditation practice with the help of fellow volunteers and teachers. While volunteering, Mikala realized her passion for thai massage and travelled to Spain to expand her knowledge and become certified from the same amazing teachers she met in Greece. Mikala completed her 200hr yoga teacher certification in the fall of 2017 through Yoga Hive Montana and was teaching at a studio in Helena before recently relocating to the Flathead Valley. She fell in love with yoga because her practice helps her find peace and feel more grounded in her daily life. Mikala is passionate about helping students fall in love with their practice and her easy going and quirky personality is reflected in her teaching. She loves to find fun and creative transitions while striving to create challenging, yet accessible sequences for all levels of Yogis. While taking a class from Mikala you can expect a laugh or two, for her to always have smile on her face and unique playlists that, in all honesty, will most likely include at least one Fleetwood Mac song. Each week we spotlight one of our instructors on our blog! Scroll down to read bios from everyone.